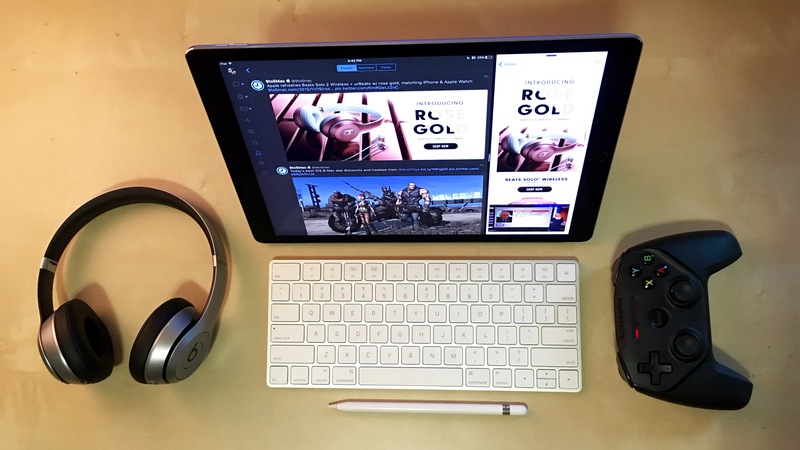 Aside from its larger 12.9-inch display and faster A9X processor, the iPad Pro stands out from all other iPads to date thanks primarily to a new accessory: the Apple Pencil. For now, the Apple Pencil can only be used with the iPad Pro, and offers quantifiable differences in both good and bad ways compared with third-party styluses that have previously been sold for iPads. Measuring 7 inches in length from the removable cap that covers its Lightning plug to the replaceable tip where the digital ink flows, Apple Pencil is surprisingly longer than most iOS-ready digital styluses that have come before it. Surveying a few pens and pencils around my office, Apple Pencil is also longer than most writing pens and mechanical pencils, but similar to actual pencils which are longer to accommodate more lead. The impressively simple design is characteristically Apple, and you’ll likely either love it or be frustrated by its few omissions. Unlike some of the Bluetooth styluses released by third party developers, there are no buttons tied to software features, no LED status indicator, and no pen clip for securing it to your shirt or pants pocket. As a fan of discontinued polycarbonate white MacBooks and stainless steel-backed iPods, I found the almost all-white exterior with metallic accents both refreshing and charming. The shiny plastic shell can be slippery when held loosely, but when gripped normally for writing or drawing, it sits comfortably in the hand without any ergonomic issues despite the lack of rubber for gripping. And despite not having a pen clip or flat edge, Apple Pencil has an internal weight that keeps it from rolling off level surfaces, though it can slip off an incline. 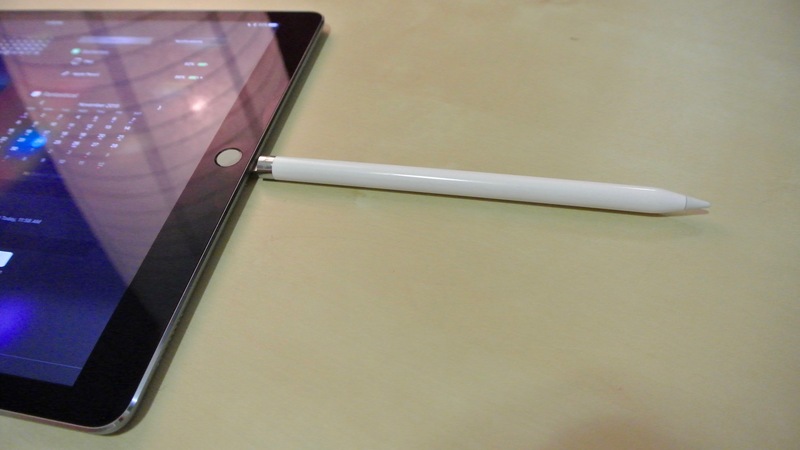 Apple Pencil always comes to rest with its name printed on the metal casing facing up, too, also a nice touch. At the drawing end is a replaceable light gray rubbery tip that screws off to reveal a gold-colored metallic holder. The other end has a removable plastic cap with a metallic insert that magnetically clips on to cover and protect the integrated Lightning plug that can be used to recharge Apple Pencil. This cap easily slides out of pant pockets and into couch cushions or onto the floor, so bear that in mind when trying not to misplace it. Inside the box (initial unboxing and hands-on impressions here) you’ll find the Apple Pencil capped with one tip already in place, plus an identical replacement tip and a new female-to-female Lightning port adapter. 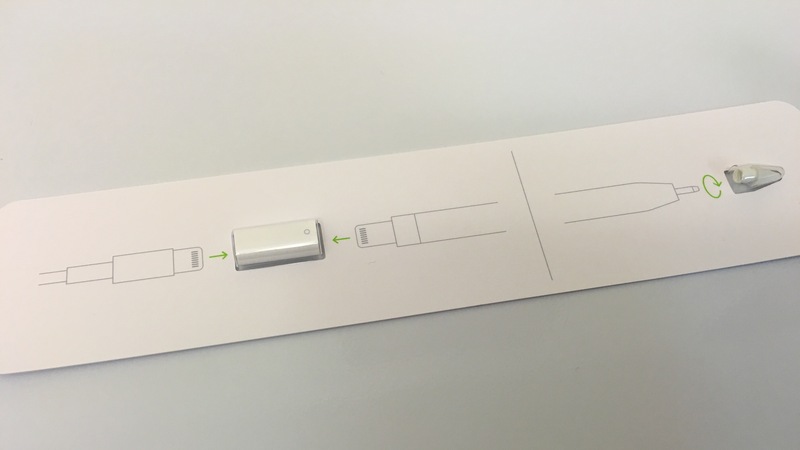 This part allows you to charge Apple Pencil with any standard Lightning cable or dock. No Lightning cable is included, but the required iPad Pro does come with a lengthy 2-meter one, and you can buy shorter spares for a few bucks. But aside from the inevitable Apple Pencil replacement tips, I would love to see an Apple version of Microsoft’s $10 Pen tip kit for its Surface Pen, which offers 2H, H, HB, and B tip options. Similarly, some third-party stylus makers have used conductive bristles to successfully recreate the feeling of using a paint brush on iPad with inexpensive solutions. Apple’s pencil metaphor tends to break down when using software tools that let you paint with splashes of color or even just crank up the brush size. Apple Pencil’s tip doesn’t conduct like a typical rubber dome stylus, but I’d love to see Apple try to expand the writing tip options. For now, it looks and feels like a plastic pencil.Whether Apple offers solutions or others find a way to work around Apple Pencil’s special tip, I’m certain we’ll see a market for alternative tips pop up eventually. Setting up Apple Pencil is as simple as uncapping it and plugging the Lightning connector into the iPad Pro’s Lightning port. 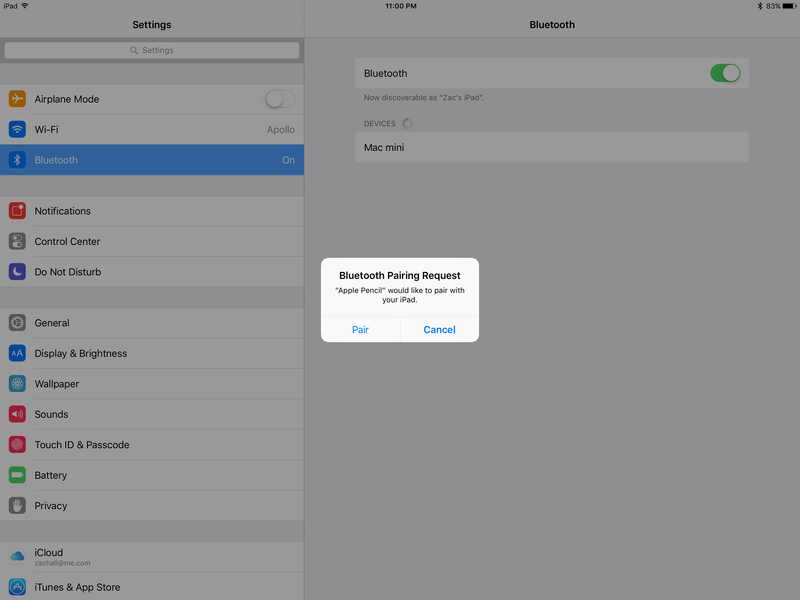 As long as your iPad’s Bluetooth is turned on, an on-screen alert will ask for permission to pair Apple Pencil with iPad Pro, then you’re done. There’s no Apple Pencil app or section within Settings — just an optional battery status widget that you can add in Notification Center. For creatives, the goal of Apple Pencil plus iPad Pro is to recreate the experience of drawing or painting with traditional tools but in a digital way. 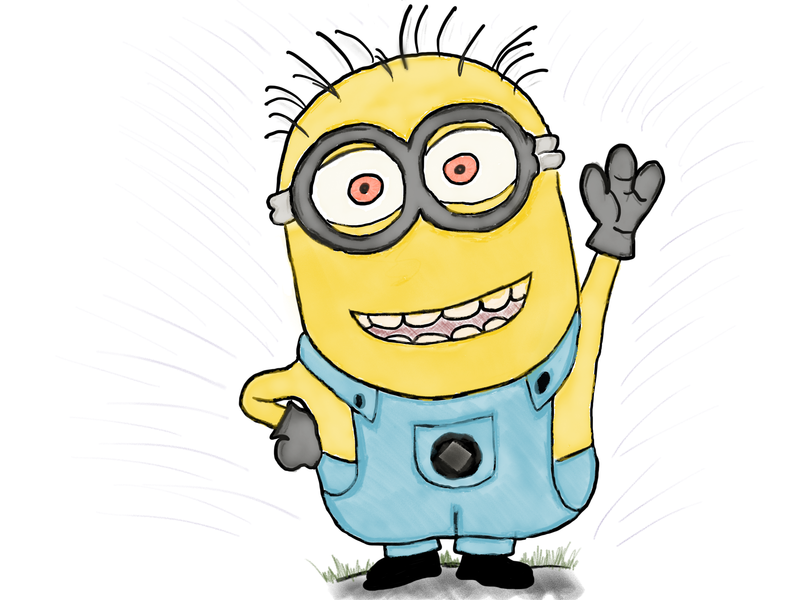 You don’t need to be a professional to appreciate just how well Apple Pencil works either. Pencil itself is very easy to learn and Apple’s Notes app is basic enough that you can easily demo Pencil’s features. When you move on to other apps, the programs may present a learning curve up front, but Pencil generally behaves the same in each one. Apple describes Pencil as highly responsive with virtually no lag. That’s because the iPad Pro display refreshes 240 times per second to detect Apple Pencil, which is twice the refresh rate it uses for touch input with your fingers. As for latency, Apple says it has been reduced to an “almost imperceptible level” of milliseconds, but your mileage may vary depending on which app you’re using. For now, Apple Notes is easily the best demo when testing how low the latency can be. You can intentionally race Pencil’s top across the iPad’s display to see the delay, but at realistic handwriting and sketching speeds it’s impressive enough to not be a distraction. You feel in full control of what you’re placing on screen. Other apps that have been updated to support Apple Pencil could stand to improve as the lag is more visible at fast speeds, but even now, it’s nothing embarrassing or show-stopping. Where Apple Pencil really impresses in my testing is palm rejection. iPad Pro is a giant canvas, and that means you’re likely going to want to rest your hand on the display when sketching intently. 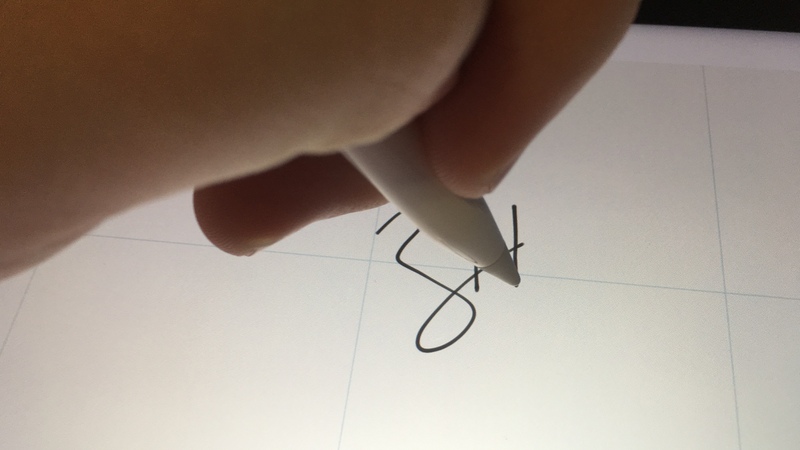 I’ve tested other digital styluses that promise palm rejection but struggle with dealing with iPad’s multitasking gestures and deciphering stylus input from light palm touches. Without good palm rejection, you might as well be using pen and paper instead, avoiding the hassle of trying to recreate an analog experience with a digital solution. Because I can trust Apple Pencil’s palm rejection, I can comfortably draw and focus on the activity and not worry about holding it right, which is a very big deal. Apple Pencil also features pressure sensitivity and side detection to mimic drawing or painting with traditional tools. This allows you to press harder to draw darker lines, or hold the tip of Pencil at an angle against the display to widen your brush or shade an area. Both work well, but I found shading to be very impressive when using pencil tools within Notes and other apps. The size and shape of Apple Pencil plus the curve of its tip makes for a very realistic experience for anyone with experience sketching with pencil and paper. 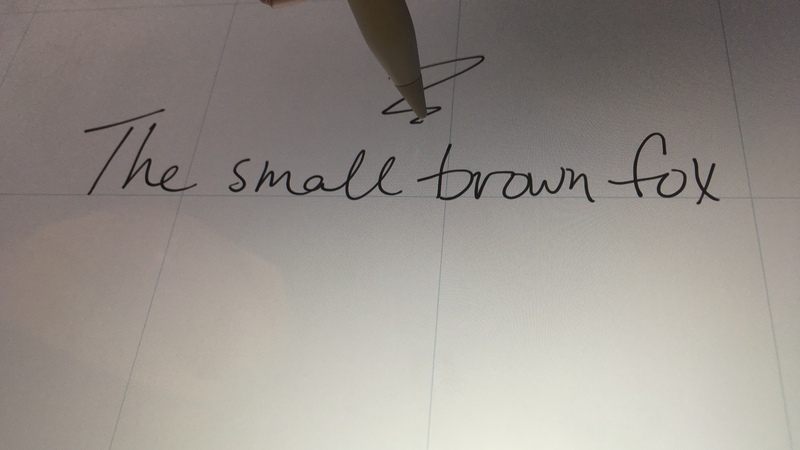 Interestingly, and despite its name, Apple Pencil doesn’t have an eraser opposite its drawing tip. Pencil by 53, a predecessor to Apple Pencil at half the price, does feature an eraser end like basic pencils, but apps have to include special instructions to talk to 53’s Pencil for the eraser end to work as such, otherwise it’s just a dual-sided stylus. My guess is Apple opted not to include an eraser end for Apple Pencil 1 to avoid having a fragmented experience for a non-essential feature. 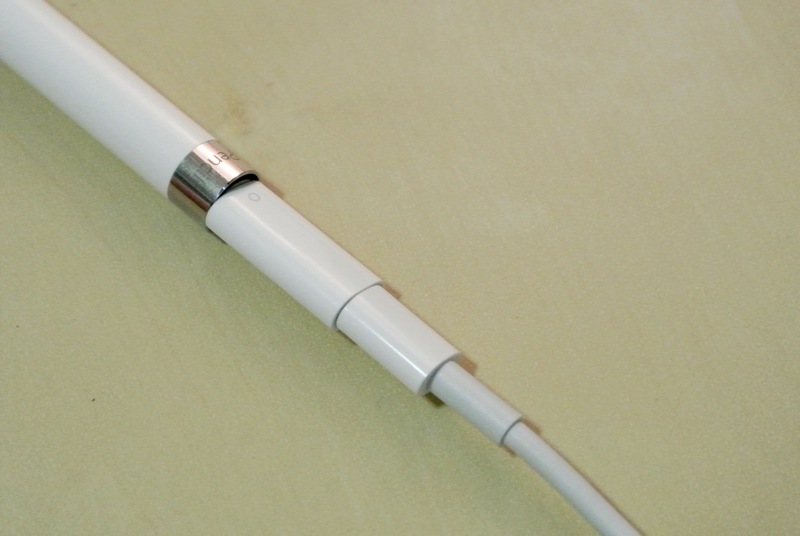 Future Apple Pencils could quite possibly feature a special eraser end while maintaining the Lightning connector underneath for charging. But how important is having an eraser on a pencil? Any good drawing app will thoughtfully place both undo buttons and eraser tools alongside pencils, pens, and brushes, so I haven’t found it to be a worthy critique. Apple Pencil promises 12 hours of battery life and 30 minutes of usage after a 15 second quick charge by plugging it into the iPad Pro. Optionally, you can charge Apple Pencil with the included Apple Pencil Charging Adapter and a self-supplied Lightning cable like the one that came with the iPad Pro. iPad Pro gets 9 hours of battery life on cellular and 10 hours on Wi-Fi, so Apple Pencil will likely outlive iPad on a single charge if both start at 100%. Realistically, Apple Pencil and iPad will likely have varying battery levels, and in testing I never found Pencil to drain excessively fast during use. Mine arrived completely drained but charged to double digit levels in a matter of seconds. My drained Apple Pencil may be an outlier, however, as another 9to5Mac editor discovered a fully charged Apple Pencil upon unboxing. Whether you’re charging Apple Pencil with iPad Pro, with your iPhone’s Lightning port (this works), or the Apple Pencil Charging Adapter, checking the battery widget in the paired iPad Pro is the only way to monitor Pencil’s charge levels. The paired iPad will display an alert when Apple Pencil reaches 5%. 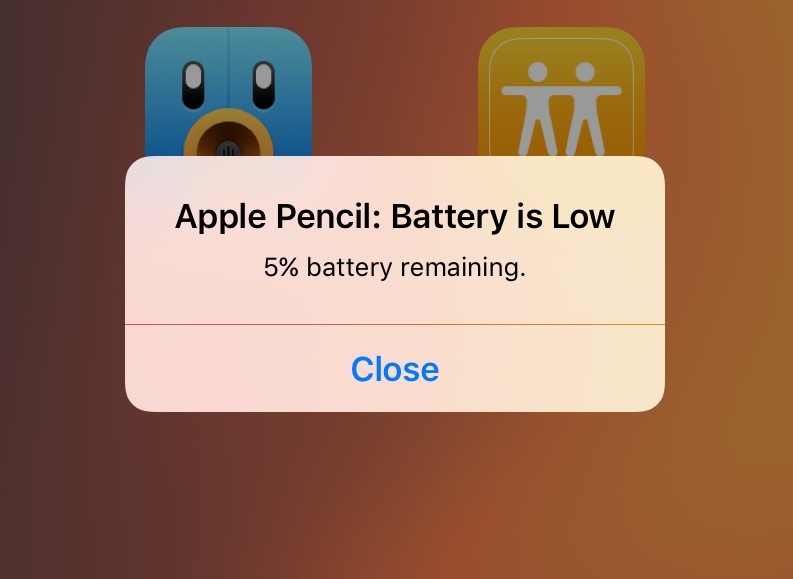 If Apple Pencil dies, the battery widget goes away (unless other supported devices are listed) and all Pencil input totally stops working as if it was never paired. My first thought during testing was that Apple could handle this more gracefully, but super fast charge times alleviate any lasting usability issues once you’re familiar with managing battery life. And while I did not notice any excessive drain during use, I did observe consistent Pencil battery life drain when using iPad Pro while Pencil was in my pocket. My guess is Pencil detected enough motion that it remained active, and that’s a necessary side effect of not having an on/off switch of any sort. Finally, just how long does it take to recharge Apple Pencil in iPad Pro’s Lightning port and how much energy does Pencil borrow from iPad? Apple claims 15 seconds of charge to a dead Pencil gives you 30 minutes of usage with iPad Pro is at 100%. I tested that claim (it’s surprisingly hard to run a Pencil battery down) and found nothing to dispute. A charge of 15 seconds gave me 2%, 30 seconds 4%, and a full minute 7%. Pencil reached 50% after 10 minutes and 30 seconds, then 100% in 22 minutes. Meanwhile, iPad Pro dipped from 100% to 97% with the display continually on to monitor the battery widget. More detailed testing is required to determine detailed usage times, but general use shows that Apple Pencil battery life likely meets what is claimed. Because Apple Pencil is just generally pleasant to use, I find myself wishing I could sketch over anything on iOS, or at least easily markup any photo or screenshot without installing third-party apps. For now, Pencil support with stock iOS 9 is mostly limited to Apple’s overhauled Notes app, which supports creating sketches and hand-written notes as embedded images alongside text. Drawing and writing tools within Notes include a pen, highlighter, pencil, ruler, and erase, plus 24 color options including 8 in grayscale. Line width is set to a single option, while tilting and applying pressure to Pencil’s tip creates variables with each tool. 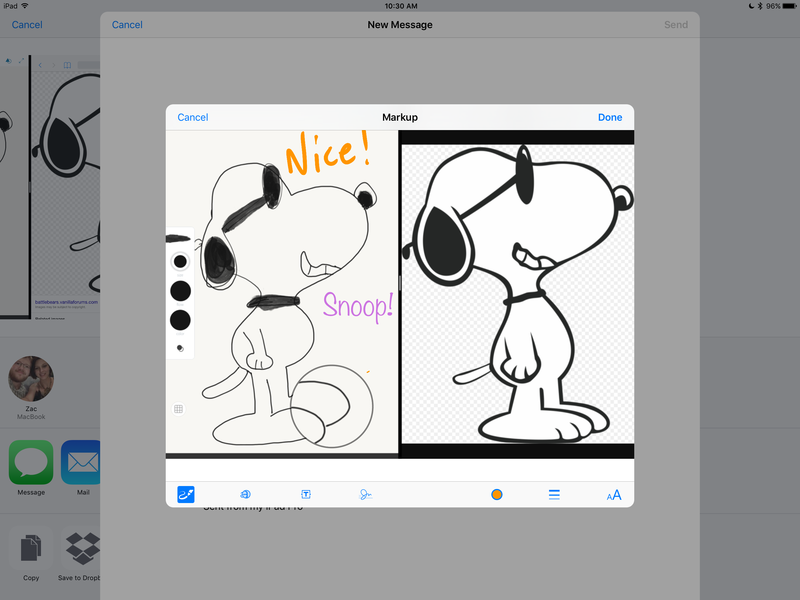 Apple’s Mail app also features limited drawing capabilities with the somewhat hidden Markup feature. Include an image in a draft, long press it, and select markup to draw over the screenshot or photo. Choose between 8 colors and 3 line widths, then use Pencil’s pressure detection to further manipulate how much ink appears. There’s also a handy signature-writing feature here. My signature was originally synced over iCloud from my MacBook where I drew it with a finger and trackpad; I then created a totally accurate signature on the iPad Pro, which syncs back to the Mac and can be found in Preview. I’d love to be able to mark up any photo or screenshot in Messages or Photos with Apple Pencil, and it’s possible for third-party apps to create extensions to enable this, but out-of-the-box Pencil is just a pointer stylus in these apps. Once you graduate from Apple Notes and want to see what else you can do with Apple Pencil, I recommend a few apps that have already updated with optimizations for it. 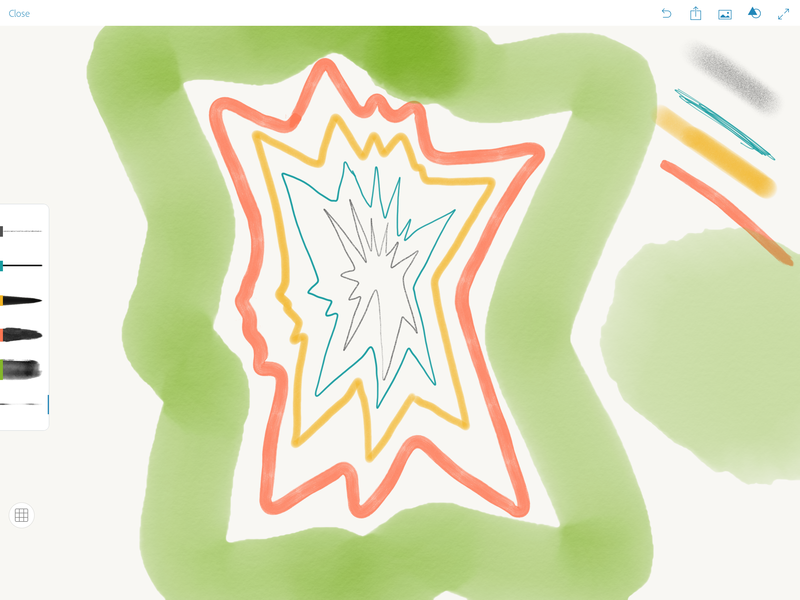 Paper by 53 is free, has a low learning curve, and can even import images you create in other apps for enhancing. Featured in Apple’s first iPad Pro ad, Procreate ($5.99) requires some time to learn and hides more advanced features out of sight from beginners. I’ve specifically used it to easily layer a blank canvas over a downloaded image, enabling digital tracing. You can even export a short clip of your work to share with others afterwards. Adobe Photoshop Sketch (free) offers much more robust versions of the same tools offered in Apple Notes for drawing. It also talks to Adobe’s Creative Cloud for backing up your projects, and I like the app’s approach to creating projects made of multiple sketches. Pixelmator ($4.99) offers both photo editing and drawing features that work with Apple Pencil. Photoshop Mix (free) uses Apple Pencil for precision input when making selections. And even apps like Photoshop Fix (free) that don’t optimize for Apple Pencil still benefit from precision input and selection when editing. Microsoft’s Office apps even take advantage of Apple Pencil for markup features and more if you’re an Office 365 subscriber. Apple clearly worked with a healthy set of developers to enable Pencil support in popular App Store apps, and Pencil interest on iPad Pro is high enough at launch that additional developers are continually optimizing their apps for it as well. At launch, Apple Pencil’s biggest fault (aside from sparse retail availability) is that it only works with a single iPad model, the new iPad Pro, which may be too big for a lot of potential Pencil users. You can charge Pencil in other Lightning-equipped iPads, but iOS won’t offer to pair with it, and unpaired Pencils don’t even offer basic touch input on touch displays. The larger 12.9-inch display is excellent for sketching with plenty of room for context and little need to zoom into detailed areas, but 9.7-inch iPads have been popular with creatives since their debut in 2010, and 7.9-inch iPad minis are highly portable and bigger than even Plus-model iPhones. For those reasons, I would bet that future models of non-Pro iPads ship with Apple Pencil support (even if the current paperwork in the box explicitly references iPad Pro only). 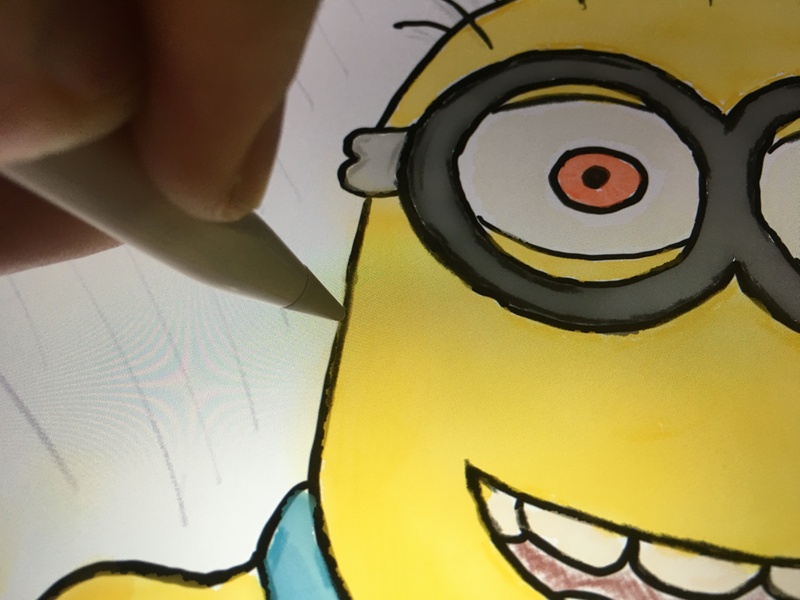 If you’re an iPad Pro owner and plan to sketch on it, Apple Pencil is easy to recommend. It features reliable palm rejection, realistic pressure and side detection, and it’s convenient to pair and charge, and a growing number of apps are being optimized for it. But if you find the nearly 13-inch screen too unwieldy to be your personal iPad and want to have a near-Apple Pencil experience on your non-Pro iPad, there’s already a healthy variety of digital styluses for iPads already available and at more competitive prices. Fans of the pencil metaphor can pick up the eraser-equipped Pencil by 53 from $50–$60 for use in Paper and a small list of other apps, while Adonit’s $50 Jot Dash provides a nifty writing tool minus palm rejection. 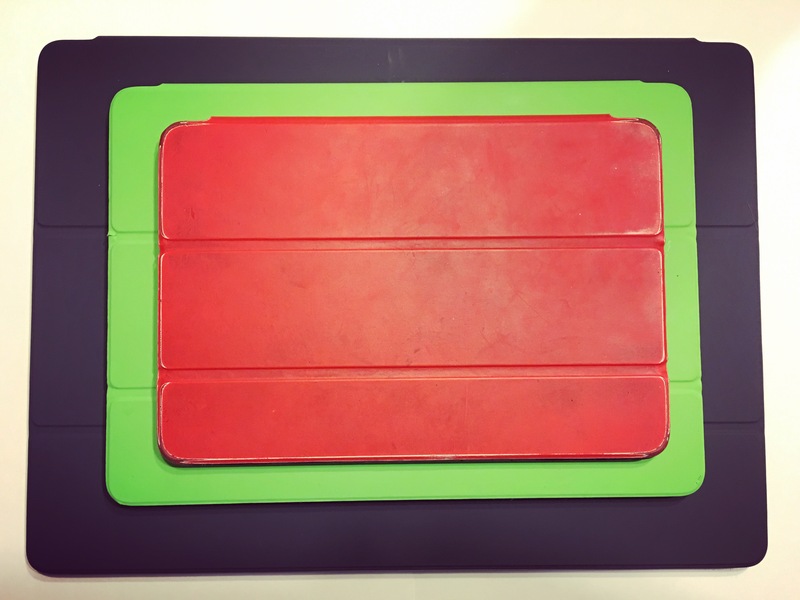 Apple has created the ultimate iPad writing tool at a high price point, leaving plenty of room for other options if you don’t need the specific features it offers.